ATLANTA (WXIA) -- Atlanta Fire crews were on the scene of a hazardous materials accident on Joseph E. Lowery Boulevard Wednesday afternoon, where a man inhaled sulfuric acid. It happened at 841 Lowery Boulevard. Officials said there was no evacuation at the location, but no one was being allowed into the building while decontamination crews were working on the scene. Janet Ward with the Atlanta Fire Department said the victim was taken from the building by rescue crews and transported to Grady Memorial Hospital in Downtown Atlanta for treatment. ATLANTA -- Atlanta police are investigating a motorcycle accident that killed one man in southwest Atlanta. The Fulton County Medical Examiner's office has identified the victim as 46-year-old Alfred Perdue of Atlanta. Police said Perdue was one of four riders travelling along Benjamin E. Mays Drive overnight. Police say three of the bikers turned around after they noticed Perdue was no longer with them. According to police, Perdue lost control of his vehicle as he was rounding a corner; he slammed into a pole and was thrown from the bike. ATLANTA -- The mother of two children injured in a hit-and-run crash at an Atlanta church is speaking for the first time about the ordeal. On June 15, police said a car traveling at a high rate of speed down Ralph D. Abernathy Blvd. SW. left the road and struck two children sitting on a stairway at a church. "It was a terrifying, free falling type of feeling that I had in my stomach," said Melody Heard. Heard described the moment she saw that car speeding towards her children. "My heart fluttered, I don't know if it stopped skipped a beat or if it did that all at the same time, and when I turned by head it was like in slow motion," Heard said. ATLANTA -- Police say they discovered a marijuana grow house in southwest Atlanta on Thursday. Investigators were called to a home at 3401 Landings South Drive on a domestic call. Once there, police found 25 marijuana plants in various stages of growth, a pound of processed marijuana and 10 ounces of THC oil. One person, Darius Holt-Mitchell, was taken into custody. He is facing a battery charge related to the domestic incident. Other drug-related charges are pending. ATLANTA -- A southwest Atlanta daycare center received an order for emergency closure Wednesday morning. A New Beginning Learning Center II will remain closed for up to 21 days, according to the Georgia Department of Early Care and Learning. The state began investigating New Beginning last week after a daycare van driver allegedly left a 2-year-old boy in the back of the vehicle. The driver, 29-year-old Shavonda Dailey, was charged with reckless conduct and cruelty to children. DECAL issued an order to close the center last week. The center appealed, but the judge denied that appeal on Wednesday. "In this case, DECAL has proved, by a preponderance of the evidence, that the safety and welfare of children at the facility are in imminent danger ... and that emergency closure is warranted," DECAL wrote in its findings. ATLANTA -- Atlanta police are reviewing surveillance video hoping to catch suspects who crashed into a church and hit two children before speeding away. The incident happened Monday night. According to Atlanta Police Sgt. Greg Lyon, two cars were traveling at a high rate of speed down Ralph D. Abernathy Blvd. SW. One of the vehicles lost control and left the road, striking two children on a stairway at the Perfect Church. According to police, after the accident, the occupants of the vehicle jumped out of the car and into the second vehicle – a black Dodge Charger – and drove off. D.J. Hodge saw it all from her front porch. "He lost control of that car and just spun out of control and it just ran straight over there into those guys," Hodge said. ATLANTA -- An alleged early morning robbery has ended with a suspect dead by the hand of the resident police believe he was trying to rob on Sunday. Atlanta police said that they were called out to the scene of a robbery where shots had been fired in the 200 block of Howell Terrace. 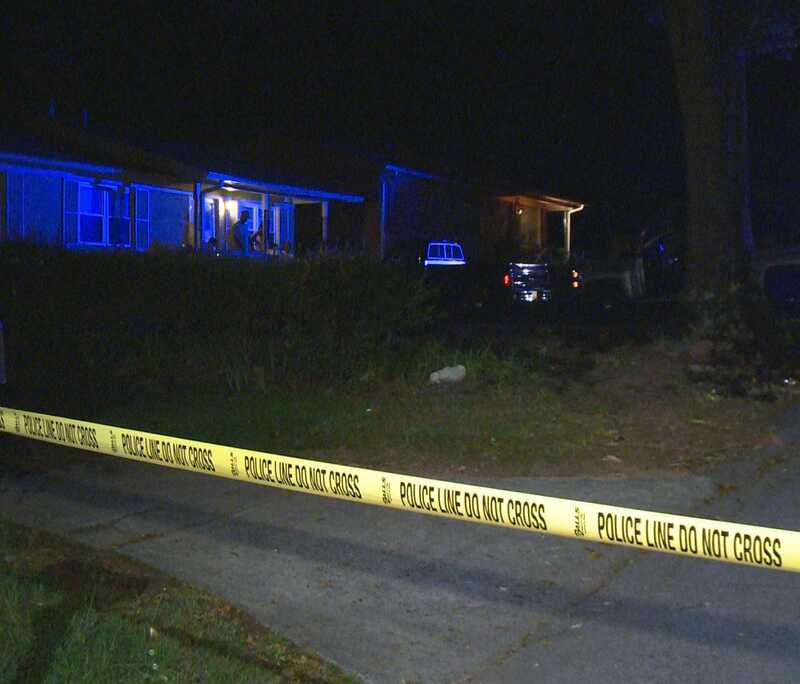 11Alive has learned that two men came into the house with guns according to police. One of the robbery victims in the incident said he managed to wrestle a gun away from one of the robbers. He then shot one intruder several times.